Robert is founder of the IIJA and lead instructor. With over 43 years in the jewelry industry, covering many aspects of the business, Robert brings unique experience and a long-standing commitment to ethical business dealing to the IIJA course. Robert has owned and operated jewelry stores, been island manager for Colombian Emeralds International on Sint Maarten in the Caribbean, and had many additional years of experience that he brings to the IIJA program. Robert is a Fellow of the Gemmological Association of Great Britain, a Graduate Gemologist of the Gemological Institute of America and was a Certified Gemologist of the American Gem Society. In addition to his gemological credentials, Robert is a licensed Property and Casualty Insurance Adjuster, licensed by the Texas Department of Insurance, and writes Continuing Education courses and teaches gemology related classes for the insurance industry world wide. He is actively involved in insurance fraud investigations for high value claims with insurance companies in the US and Europe. Mark brings to the IIJA a 30 year career in jewelry store sales and management. His specialty is operations management and sales training that includes such industry names as Saks Fifth Avenue, Macy’s, Zales Jewelers and Gordon’s Jewelers. Mark has served as both store management and district manager for some of the world’s finest jewelry companies and brings that experience and knowledge to the IIJA programs. Mark has earned the IIJA Registered Gemologist Appraiser Diploma, as well as completing educational courses at the Gemological Institute of America and many training programs through the corporate training obtained with the world-class jewelers he has worked with. He brings his many years of experience in top level jewelry management positions to the IIJA to enhance our programs to world class status. With over 30 years in retail clothing management Debbie is known as one of the finest training and design professionals in the industry. As a Regional Manager for Fashion Bug Stores, Debbie was in charge of total training and operations for over 60 stores covering the Western United States. She brings this long-standing professional experience in retail operations, training and design to the IIJA to help make our program the finest in the world. In addition to being the Western Regional Manager for Fashion Bug, Debbie has also served as clothing buyer for Macy’s Department Stores in downtown Manhattan, New York City, and was District Manager for Chico’s Stores of Sanibel Island, Florida. Her knowledge and experience in retail training and design helps make the ISG training program the world’s leading education opportunity at a tuition level that everyone can afford. The IIJA was originally an Allied Teaching Center for the Gemmological Association of Great Britain before going independent in 2004. The IIJA holds memberships in the American Gem Trade Association, Cultured Pearl Association of America, Diamond Council of America, Texas Jewelers Association, the Manufacturing Jewelers and Suppliers of America, and other professional industry associations such as Polygon. Since 2006 the IIJA has been an Accredited Business of the Better Business Bureau with a BBB Rating: A+. The IIJA currently has over 1800 students representing 65 nations world-wide. Our events include the IIJA at Tucson where we hold week long special events, and our IIJA at the Mines trips each year to visit and experience first hand the fun of gemstone mining. The IIJA is a certified education provider for many US State Departments of Insurance to train insurance agents and adjusters in gemology, and is active in the insurance industry for assisting with high dollar jewelry insurance claims in the US and Europe. The IIJA Registered Gemologist Appraiser Program has been recognized and accepted by insurance and jewelry industry organizations world-wide. The IIJA Registered Gemologist Appraiser diploma is accepted by the National Association of Jewelry Appraisers. The IIJA provides insurance investigation services regarding jewelry fraud issues to insurance companies around the world. 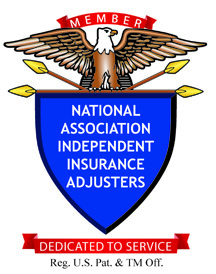 Through our partnership with the Jewelry Adjuster insurance adjusting services, we are members of the National Association of Independent Insurance Adjusters.